For all those who grew up in seventies and eighties middle-class India, Amar Chitra Katha, or ACK as it was popularly referred to among friends, was an important influence if not an iconic cultural artifact. 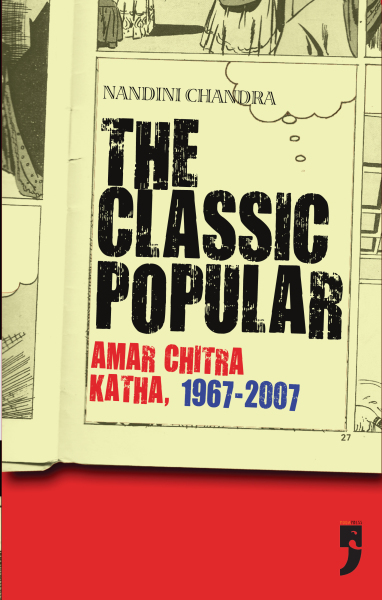 Published at a time when ACK appears to be on the verge of a second lease of life, this compelling new book draws our attention to the stimulating and troubling potentials of Amar Chitra Katha as a force in modern Indian history. Based on a reading of visual practices and the complicated art history informing the comics, the book delves into core issues of communalism, history writing and the ways in which middle-class India negotiates the consumption of products of popular culture to suit its ideological moorings. A provocative and cleverly argued monograph, this book is a must-read not only for scholars and students of modern Indian history, contemporary culture and politics, but also for everyone who grew up with, loved or hated Amar Chitra Katha.